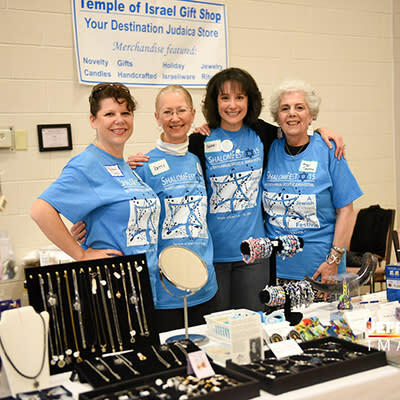 ShalomFest has evolved from a congregational event to a community­wide attraction. While food remains a highlight with traditional Jewish meals and desserts available throughout the day, the many cultural offerings also appeal to interested attendees of all religions. In fact, curiosity about Judaism is incredibly prevalent among area residents. ShalomFest’16 attendees will enjoy re­enactments of lifestyle events (Bar/Bat Mitzvah; Jewish Wedding); live Klezmer music and Israeli song & dance; a broad spectrum of Jewish cultural activities including holiday celebrations, cooking demonstrations, and craft projects. There will be presentations on religion, language and Israel as well as games for children. Local Rabbis will present a Speaker Series offering new topics of interest for attendees.